Commonwealth medallists Tom Bosworth and Bethan Davies will lead the five-strong British selected to compete over 20km at the IAAF World Race Walking Team Championships on May 5-6 in Taicang, China. 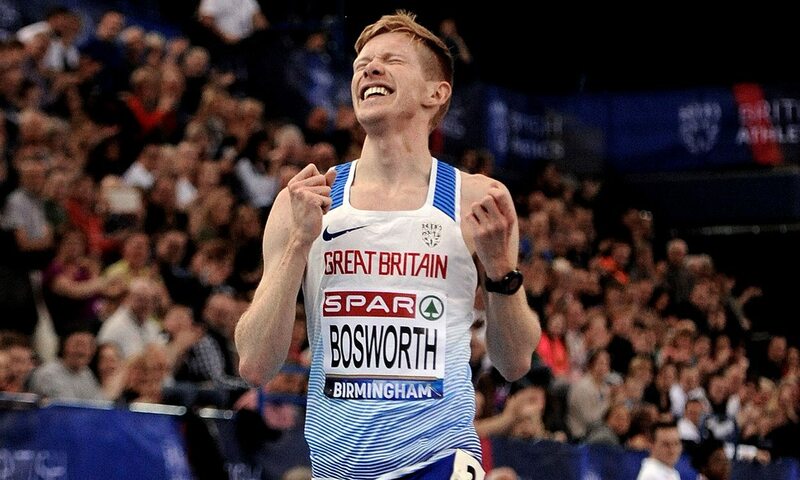 Bosworth, who will be making his fourth successive appearance at the event, will travel full of confidence after clocking a British record of 79:38 to take silver in Gold Coast. The other man to be selected as part of the British line-up is Callum Wilkinson, seventh in Australia. Both race in the men’s event on May 6. Commonwealth bronze medallist Davies, who set her personal best of 91:53 in Switzerland in March and made her debut in the championships in 2016, forms the British women’s trio alongside Gemma Bridge and Heather Lewis, fifth and seventh respectively at the Commonwealth Games, which will also compete for a place in the women’s team standings in China during their 20km race on May 5. “Fresh from a successful Commonwealth Games for British race walking in Australia, we have selected a strong team of five for next month’s IAAF World Race Walking Team Championships in China,” said team leader Andi Drake. Meanwhile, the IAAF has cleared nine Russian athletes – a number of them race walkers – to compete internationally as neutrals this year. The sport’s governing body’s doping review board has agreed that the applications of those in question have met the exceptional eligibility criteria to compete in international competition while the Russian federation remains suspended. The latest to be cleared are race walkers Klavdiia Afanaseva, Olga Eliseeva, Yuliya Lipanova, Vasiliy Mizinov, Sergey Sharypov, Sergey Shirobokov and Yana Smerdova, as well as sprinter Kseniya Aksyonova and sprint hurdler Sergey Shubenkov. At the end of last year, the IAAF issued a simplified application process for 2017 Authorised Neutral Athletes to reapply for continued eligibility to compete in international competitions this year. Since publication of the simplified application and updated guidelines, they have received more than 140 applications from Russian athletes. So far, 30 have been declared eligible this year, with 30 applications having been denied.